The Canada Wolverines have appointed Amy Marshall as their new nutritionist. A recent graduate from Manitoba’s premier university studying Nutrition Sciences, Amy comes to the team with plenty of hands on experience and a wealth of knowledge. 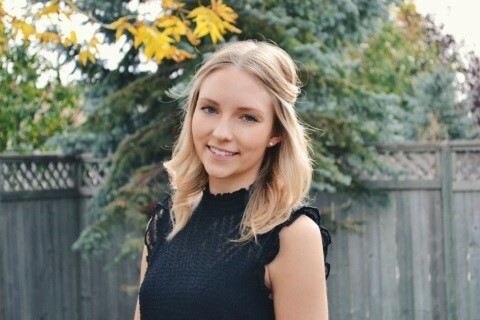 Born and raised in Winnipeg Manitoba, and recently moving to the rural town of Killarney to further enhance her studies as she completes a dietetic internship with the Winnipeg Regional Health Authority, Amy continues to advance her port- folio in nutrition. Marshall said of the opportunity, “I’m excited at being on board and helping where I’m needed. The Wolverines have some wonderful potential and there are some big tournaments coming up in the near future and I hope I can bring in the right advice for all the athletes. Food impacts us all, and ultimately if you aren’t eating correctly a few days out from the game, and directly afterwards, then you won’t be at your best. As the new nutritionist I think it’s important that we have relevant evidence-based research on sport nutrition to further enhance the playing group. I find the science behind nutrition and how it interacts in the body fascinating, and my hope is that this knowledge can be passed onto the players to further enhance their ability both on and off the field. Amy plans to balance her new role, while pursuing a Master’s degree in nutritional sciences, focusing on the metabolism of macro-nutrients.